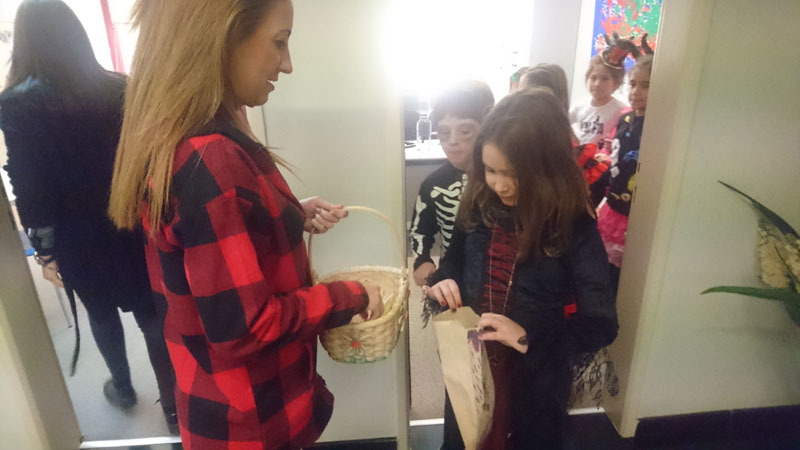 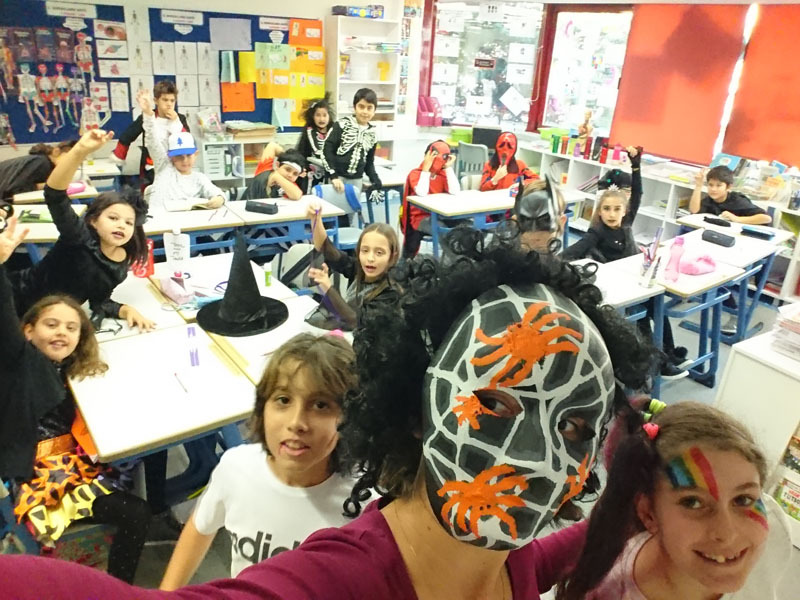 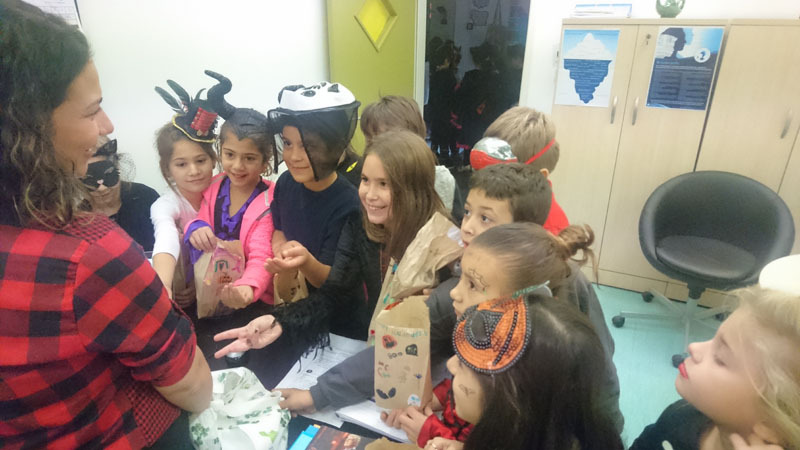 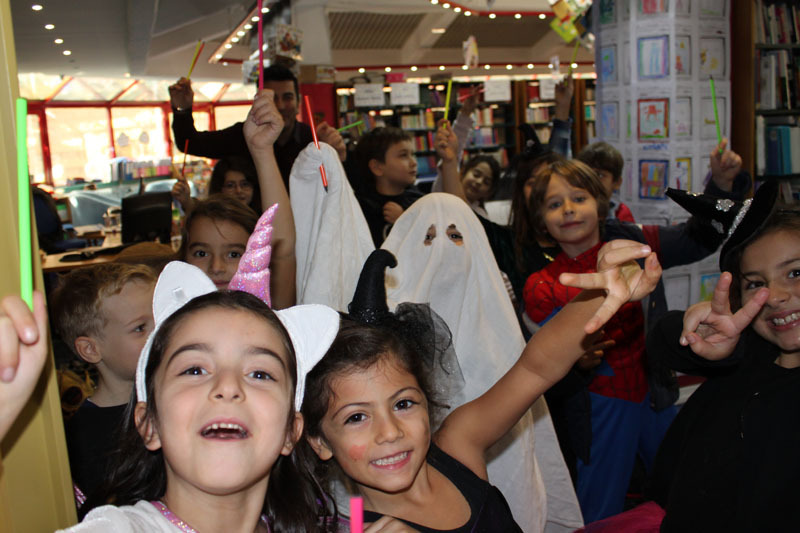 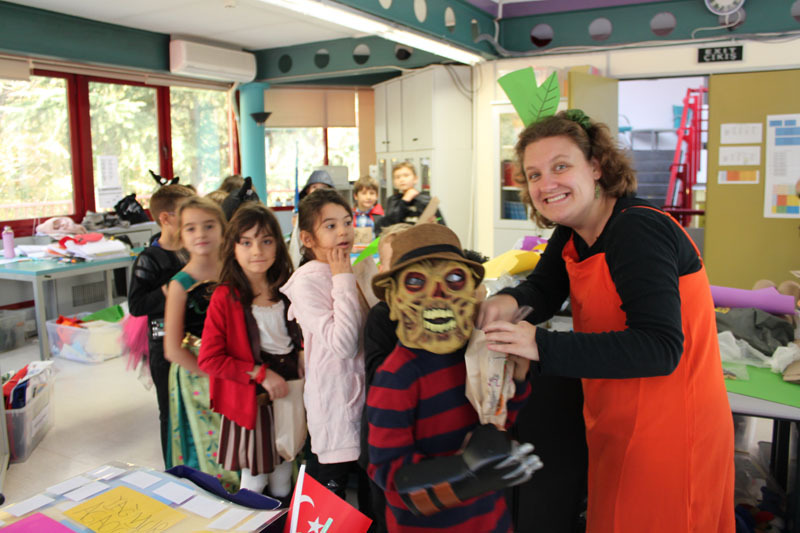 On November 1st, the kindergarten and primary school students celebrated Halloween. 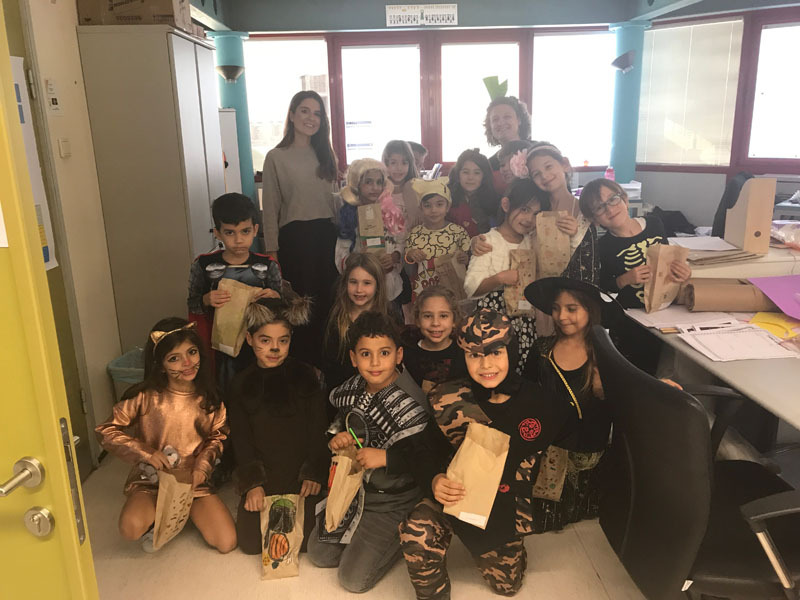 While preparing for Halloween, the students decorated their classroom doors and decorated brown paper bags to use while Trick or Treating. 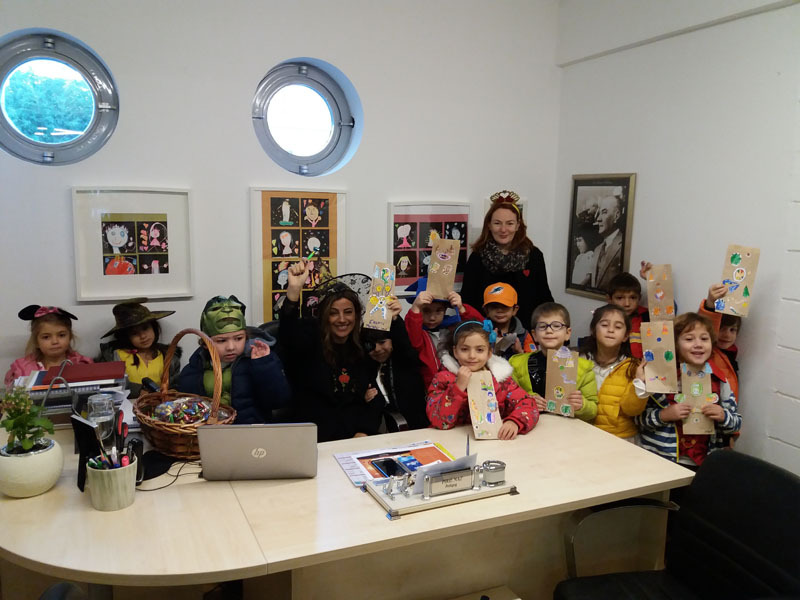 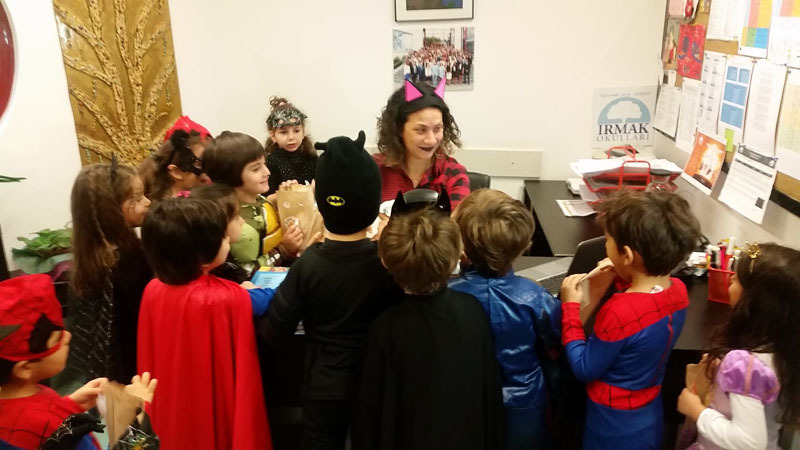 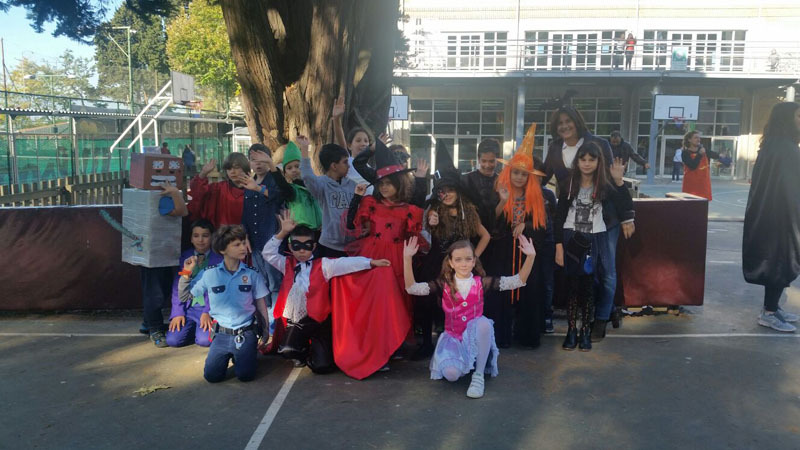 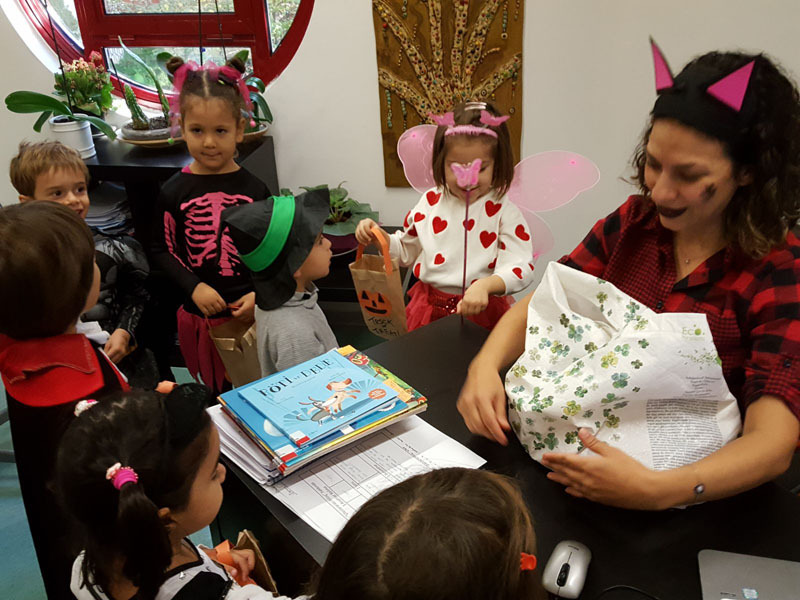 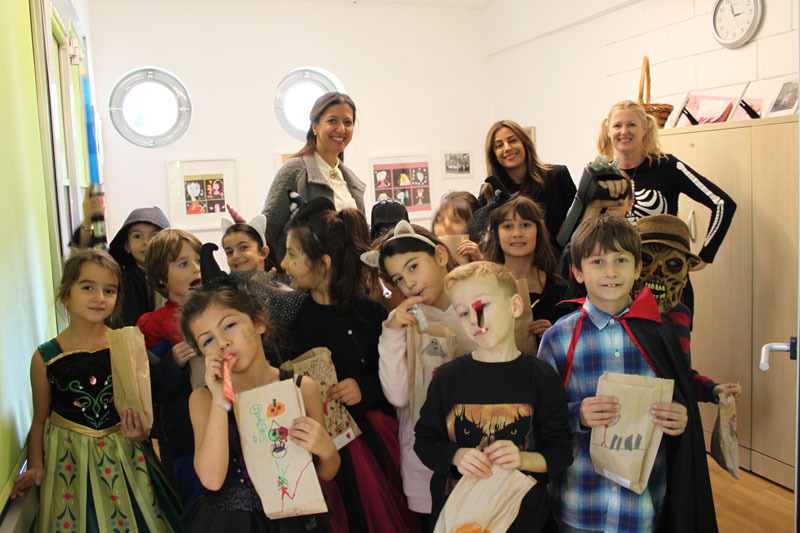 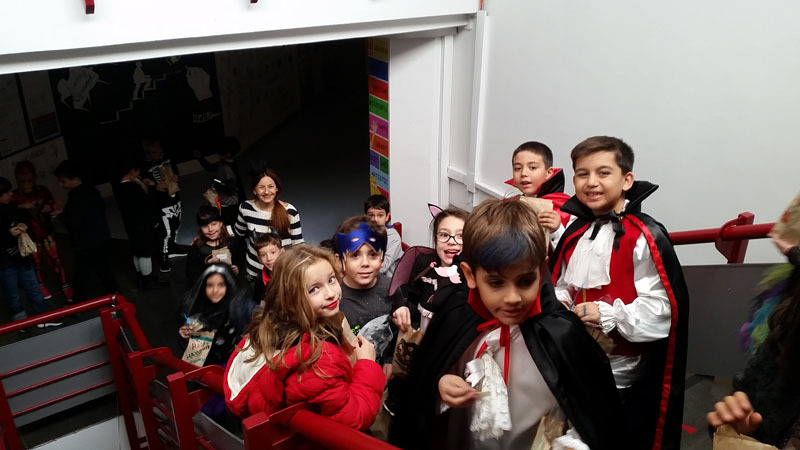 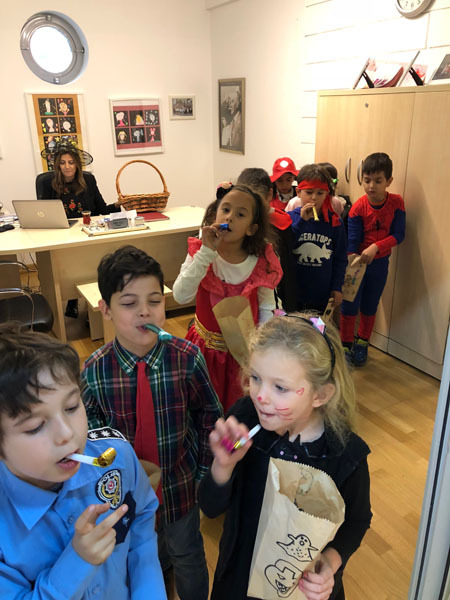 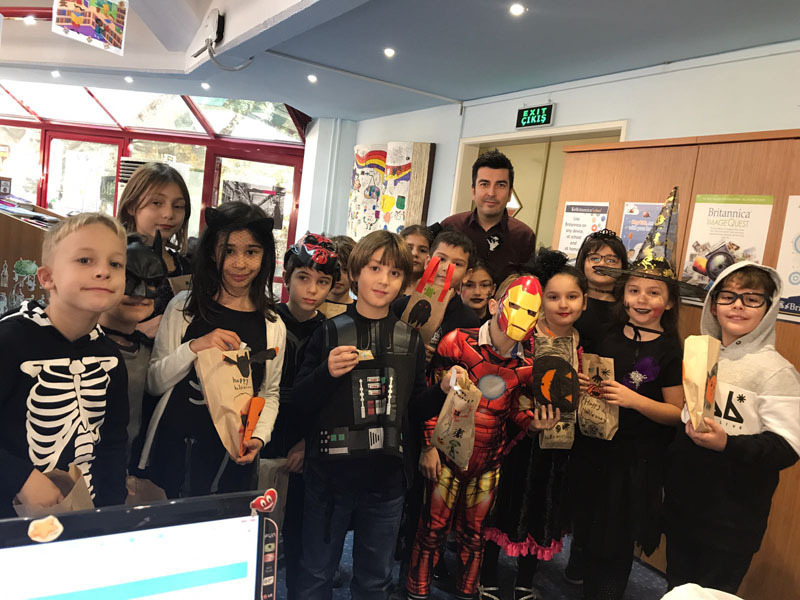 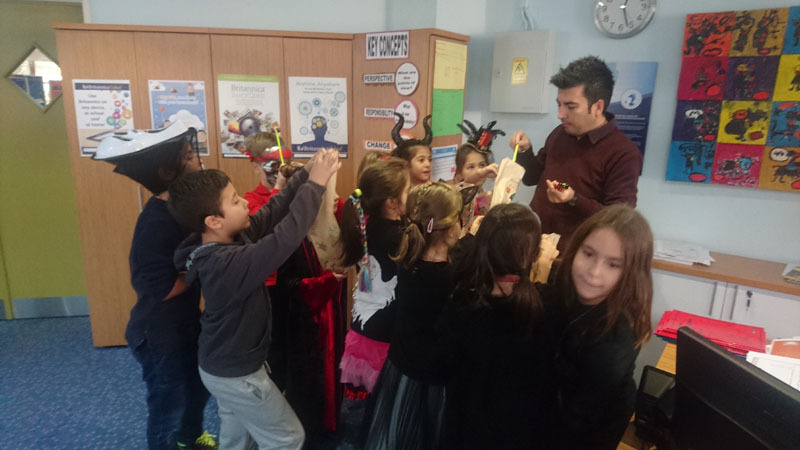 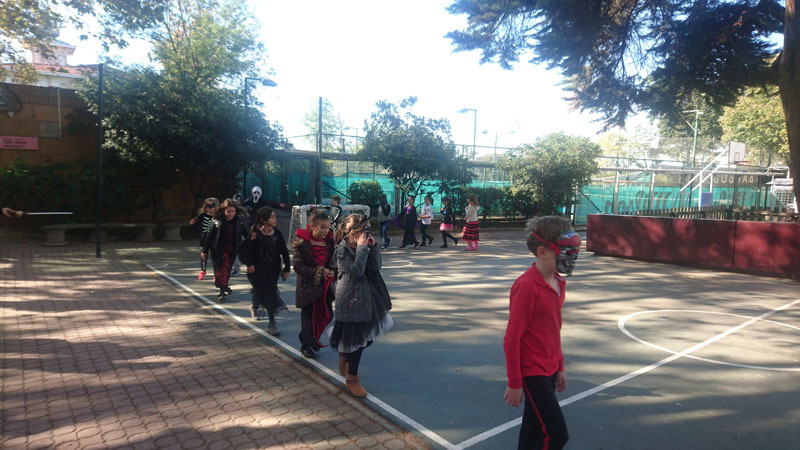 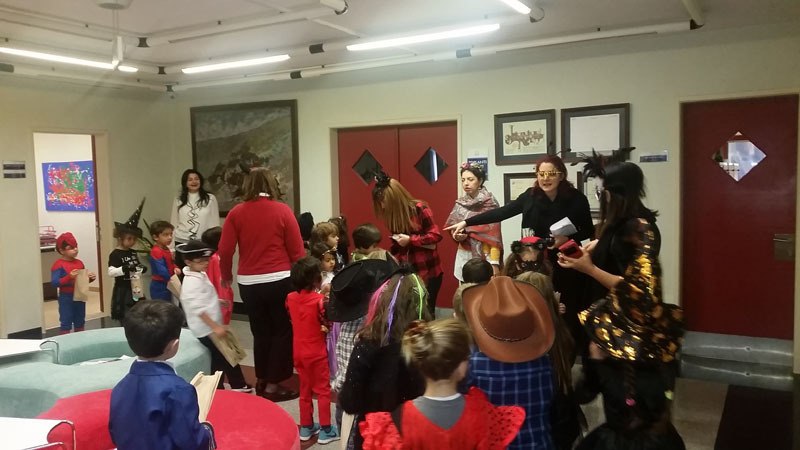 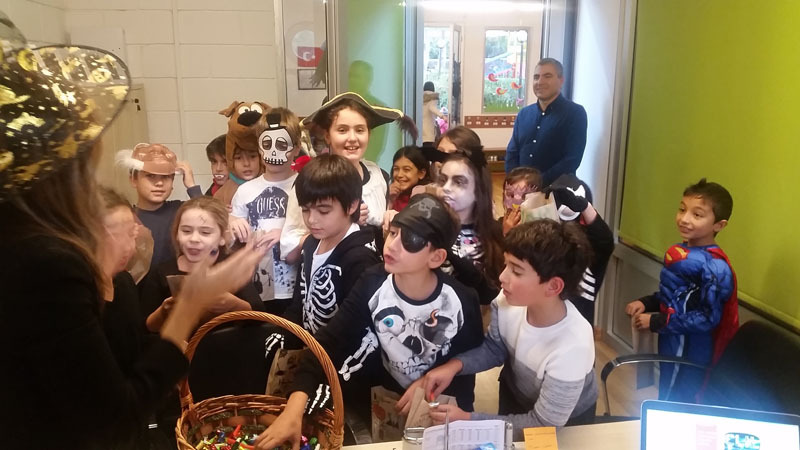 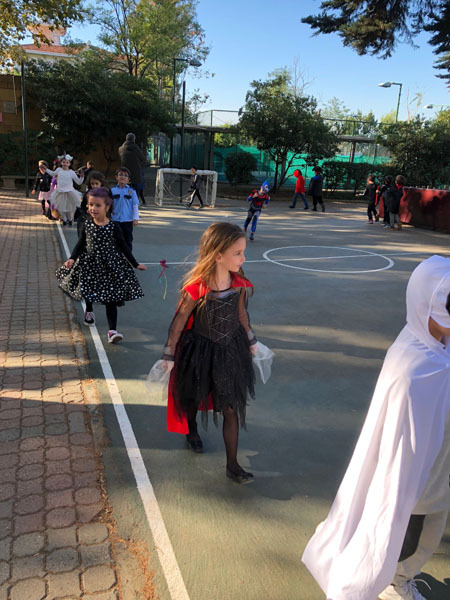 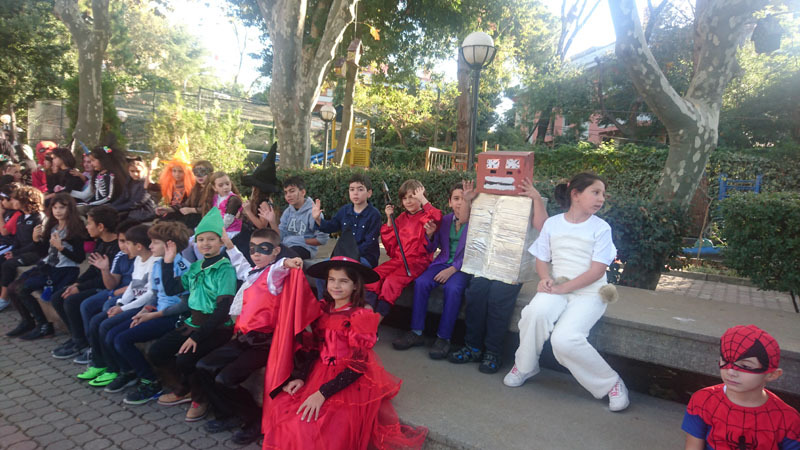 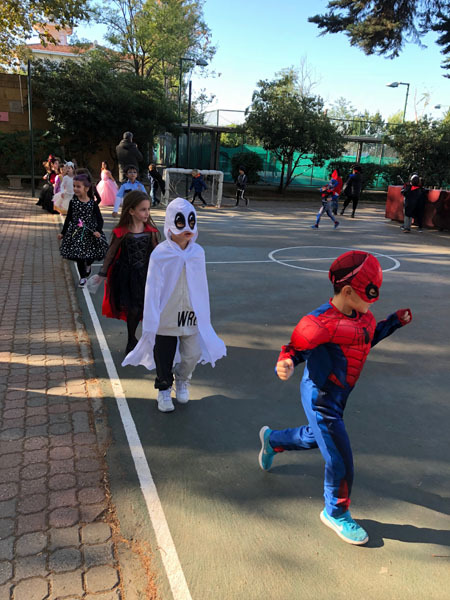 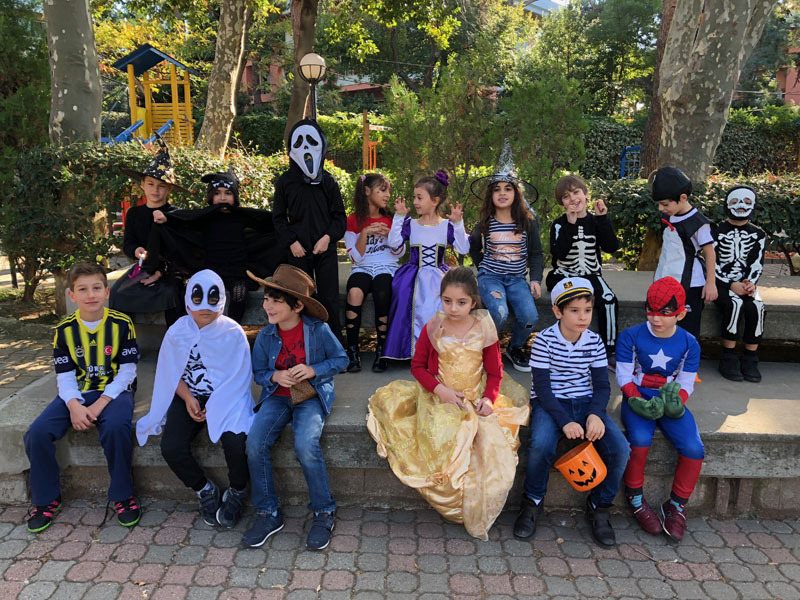 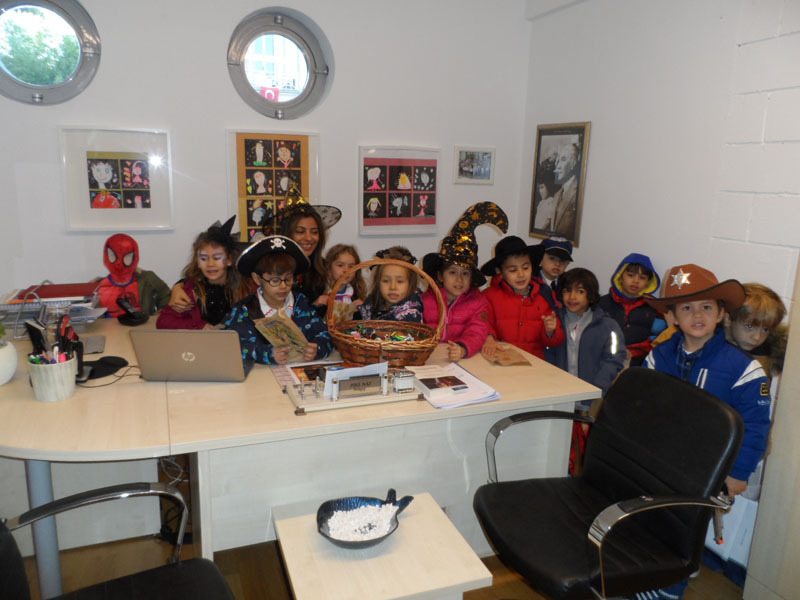 On Wednesday, the students participated in a costume parade where they gathered under the Irmak tree and showed off their costumes to their friends. 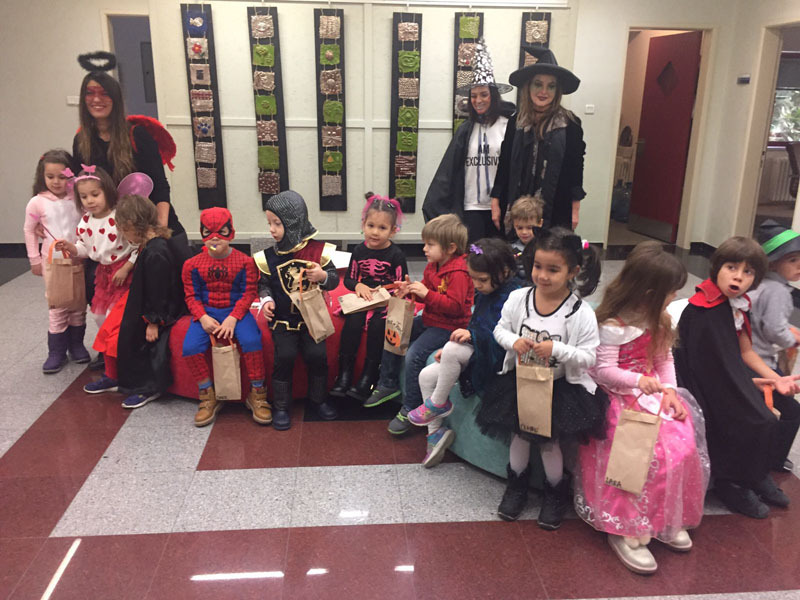 Finally, each class went Trick or Treating. 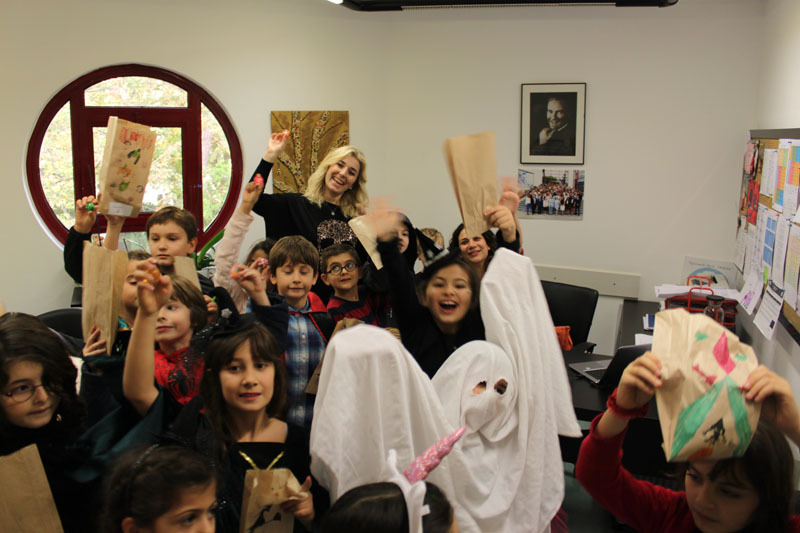 All of the students were very excited to get small toys and cookies! 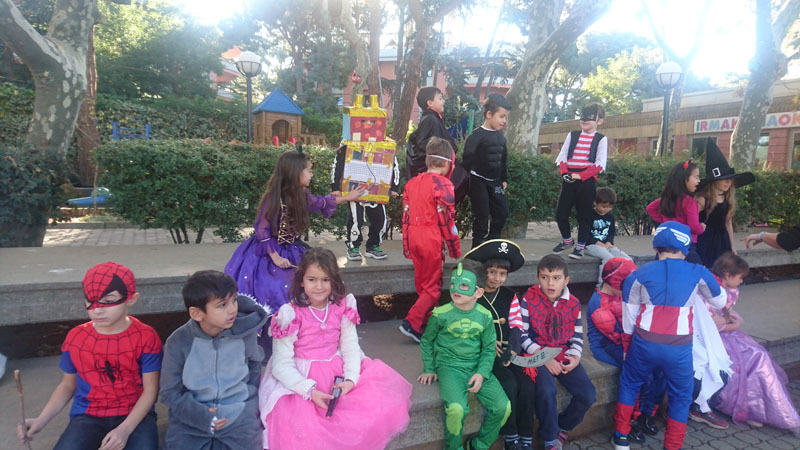 This page was created on 3.11.2017 11:31:39 and has been visited 463 times.